Helping to spark the imagination. The push for innovation in the world of digital media is at an all-time high, largely due to the challenge of engaging the “distracted” consumer. Some thought leaders point to creativity and connectivity as key areas to focus on when developing solutions, as well as when leading your creative, programming and engineering teams toward future success. Designers of brand and customer experiences are assembling teams from a wide range of disciplines to collaborate on projects, thus gaining from their collective creative expression. 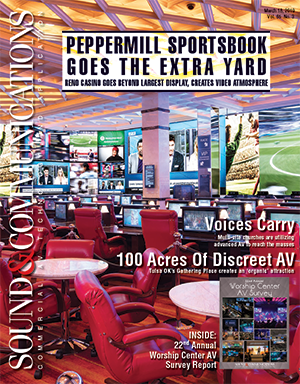 They are also using innovations from fields outside of the conventional AV industry, and we’re seeing the increasing integration of diverse technologies to create more engaging media installations. At the Video Everywhere Summit last November, the President and CEO of the Digital Place-based Advertising Association (DPAA), Barry Frey, said, “We need to harness the power of connectivity. We need to connect people with other human beings—not just with algorithms.” Frey emphasized the importance of connectivity in bringing the digital and physical worlds together, and he advocated for the increased integration of mobile connectivity with digital out-of-home (DOOH) displays. Inspiration, creativity and expertise that stimulate invention tend to flourish in an environment of openness, in a spirit of freedom, in the excitement of what might be considered risky and in a culture of continuous experimentation. It might seem difficult to provide your team with such an atmosphere in the face of day-to-day challenges on multiple projects. However, several digital signage and AV firms across the world are successfully balancing near- and long-term goals to deploy innovative and sustainable customer experiences for their clients. 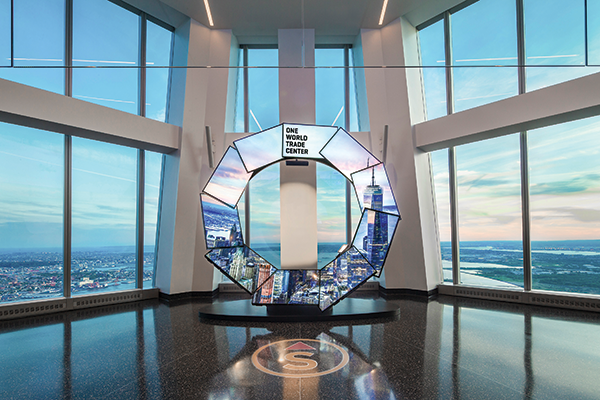 Nearly three years ago, Local Projects was tasked with designing a media installation for One World Observatory at One World Trade Center in New York. The venue offers visitors one of the world’s most spectacular and iconic views. Barton and his team at Local Projects designed City Pulse, a guided tour experience that enhances the viewer’s understanding of the city and its history. Local Projects used exactly this approach in the development of City Pulse, stripping away 80 percent of the screens from an earlier design in favor of an approach that wouldn’t obscure the view, and that would elevate the human storyteller. Tour guides and visitors can also touch a screen to explore various aspects of the city and its history, thereby customizing their experience. Using new technologies to engage visitors and customers emotionally doesn’t require a landmark client or a big budget. For example, an experience that responds to customer presence and emotions can now be created with Google’s AIY (AI yourself) Vision Kit, an add-on for Raspberry Pi, for less than $200, plus a little imagination and some basic programming skills. Looking for something to spark your imagination? Watch an inspiring TED or TEDx Talk, or tune into webinars on specific markets you wish to address. You could also attend a conference, such as Digital Signage Expo 2018 in Las Vegas NV this March. This year’s DSE seminar program includes a presentation by Frey on the benefits of integrating mobile interactivity with DOOH signage; there are also several other tech-specific sessions, as well as exhibits of the latest products and solutions that you can use in your next project. By creatively combining the art of storytelling with the latest technology, you will surely be able to design and build truly engaging digital installations—as long as your development process allows your team to stay focused on the viewer experience.